Unlike people who live in more northern parts of the country, Houston residents do not have to contend with icy, snow-covered windshields very often. When the rare cold snap strikes, though, you may find yourself at a loss about how to handle your icy windshield. Without taking the right steps, you could end up at a Houston auto glass shop with a damaged windshield, so it pays to familiarize yourself with what to do when you find yourself with an ice-covered windshield. Park Inside – If the forecast calls for freezing temperatures overnight, park your car in the garage. Even simply parking it under a carport should make a difference. Cover Your Windshield – Again, if the forecast calls for icy conditions overnight, consider draping a tarp or folded-up sheet over your windshield. You will need to weigh it down to keep it from blowing away overnight. Keep in mind, though, that excessive snow can render this step completely useless. Pre-Treat Your Windshield – If icy weather is on its way, consider spraying your windshield with deicing solution before going to bed. Do not have any handy? Try a solution of 1 part water and three parts vinegar. Spray it onto your windshield. Ice will be much less likely to form on it overnight. Start the Engine – Put your car to work for you by starting the engine right away. Crank up the heat to the highest possible setting, and turn on defrosters for both the front windshields and back window. Turn the fans up to high also so they can start melting away the ice from the heat generated inside. Brush Away Excess Snow – If your vehicle is covered in snow too, use a soft-bristle brush to sweep it away. Start with the roof and work your way down. Otherwise, melting snow could slide onto your windshield when you are on the road. Make sure to clear snow away from the grille in front of the windshield to ensure the defrosters and heaters work optimally. Use Deicing Fluid – As rare as icy weather is in Houston, it still pays to keep a bottle of deicing fluid handy. Spray it liberally over your windshield from about 10 inches away. Do not have any? Refer to the homemade deicing solutions below. Scrape the Windshield – After lifting up the wipers, use a plastic ice scraper to scrape away the ice. A credit card can be used as a scraper in an emergency. Begin in a lower corner and work your way up. Turn on the Wipers – With the ice cleared away, it is now safe to turn on the wipers to clear away the rest. If you have an icy windshield and do not have any deicing solution handy, try one of these home remedies instead. A solution of 70-percent isopropyl alcohol plus a few drops of dish soap should do the trick, or you can use a solution of one part water plus two parts rubbing alcohol. 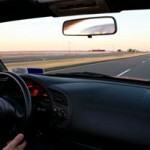 By taking these steps, you can ward off costly Houston windshield repair costs. Of course, at a certain point, all windshields need replacing. 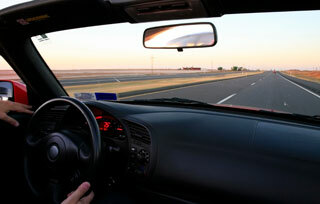 Apple Glass is the name to trust for Houston windshield replacement, so give us a call! This entry was posted in Auto Glass and tagged Houston Auto Glass, Houston Windshield Repair, Houston Windshield Replacement. Bookmark the permalink.